There have been a lot of sweets baking going on at my house for the holidays. I look forward to dinner time probably more than anyone in my family due to the fact I can’t wait to get something nutritions and salty in my system haha! 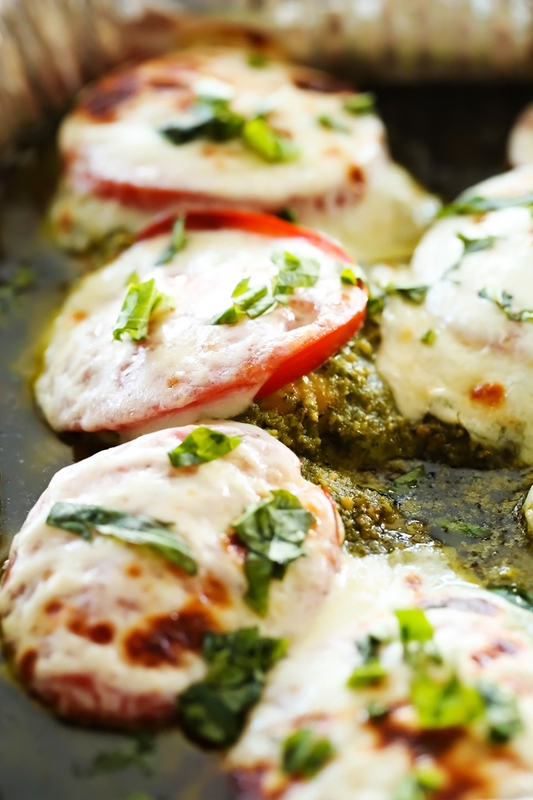 If you are looking for a new dinner idea, this is a great one to try! It is packed with flavor and is absolutely delicious! 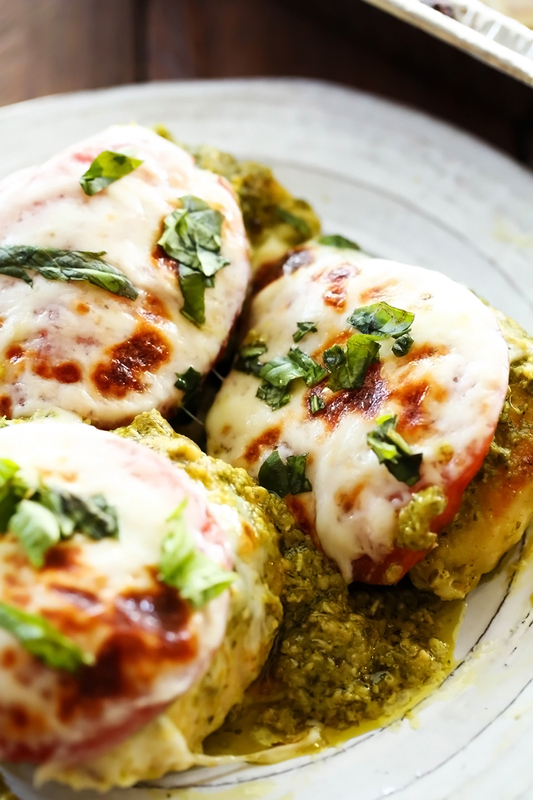 It sort of reminds me of a caprese type of chicken as it contains basil pesto, tomatoes and mozzarella. These flavors fuse together beautifully to make for one tasty meal. It was super simple to throw together and was a hit at our house! Thank you so much for your recipes! Cooking has recently become my passion; so much so I started taking care of dinner twice a week for my parents. Your website has become my go to! I will be trying this one tomorrow. Thank you again! Trying this one out tonight - hope it tastes as good as it looks!